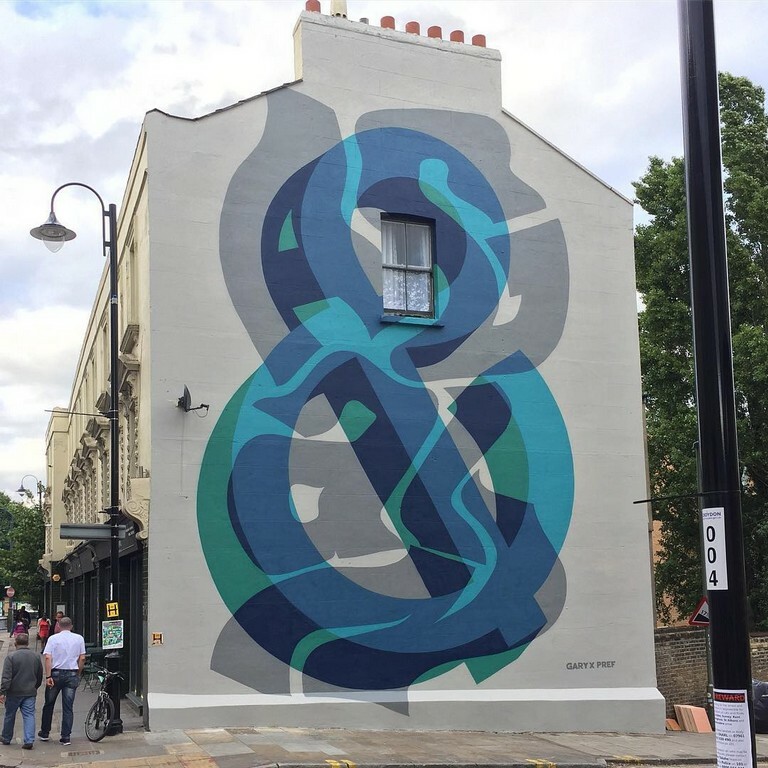 Art historian Hector Campbell recently sat down with British artist Gary Stranger to discuss his background in graffiti, artistic and commercial collaboration, the evolution of his gallery work, and his experiences with curation. Gary also recently teamed up with art collective Fluorescent Smogg to release a new limited edition sculpture and print set (seen above), available here. Hector Campbell (HC): Hailing from a graffiti background, as part of the MSK crew, you have a long history of painting on the streets. How has this background influenced and informed your current practice? Gary Stranger (GS): My current practice shares many of the same features as the graffiti I have painted. All of my work is type based with one eye on minimalism, stripping it back where possible to keep things clean. I still employ the same medium, formula and some of the rules that graffiti writers self-impose (not using tape and projectors etc.) that I did when I called it graffiti. I learnt how to use spray paint and I find that it is still the most effective medium for making big letters. HC: You’ve said previously that what you do nowadays isn’t graffiti, rather that you use a medium which is synonymous with the movement. Why then do you continue to choose this medium of public art as your primary artistic output? GS: Everyone has their own interpretation of what graffiti is. To the purists out there, I never did true graffiti with the name Gary. In previous carnations, I may have ticked the boxes to be able to use that description, but that was more than 20 years ago. In my opinion, the fact that I predominantly use spray paint on my wall paintings and that some of them are public facing does not now make what I do graffiti. I’m not sure that spraying walls is my primary artistic output either. I spend a lot of time in the studio making work that shares none of those elements and that is what makes me tick nowadays. HC: Artistic collaboration seems to be important to you. Besides the aforementioned affiliation to the MSK crew, you also work closely with fellow artist Pref creating large murals, as well as a joint gallery exhibition at StolenSpace Gallery in October of 2016. What does this collaboration mean to you and how does this work differ from your solo exploits? GS: Collaborating with Pref has been important to me as we share much of the same taste and opinions about art, design and typography. He is on a similar journey to me with his art and as we are good friends, working together seems obvious. I like that the murals we have painted employ equal amounts of our particular styles, yet they don’t compromise each other. It’s a hard balance to strike when collaborating with someone, to not undermine each other’s product but to allow them to coexist. I don’t see my collaborations with Pref as any different from the work I make on my own. That’s exactly why I feel we work so well together. Though, when I’m working alone I am able to employ more negative space, which I like. 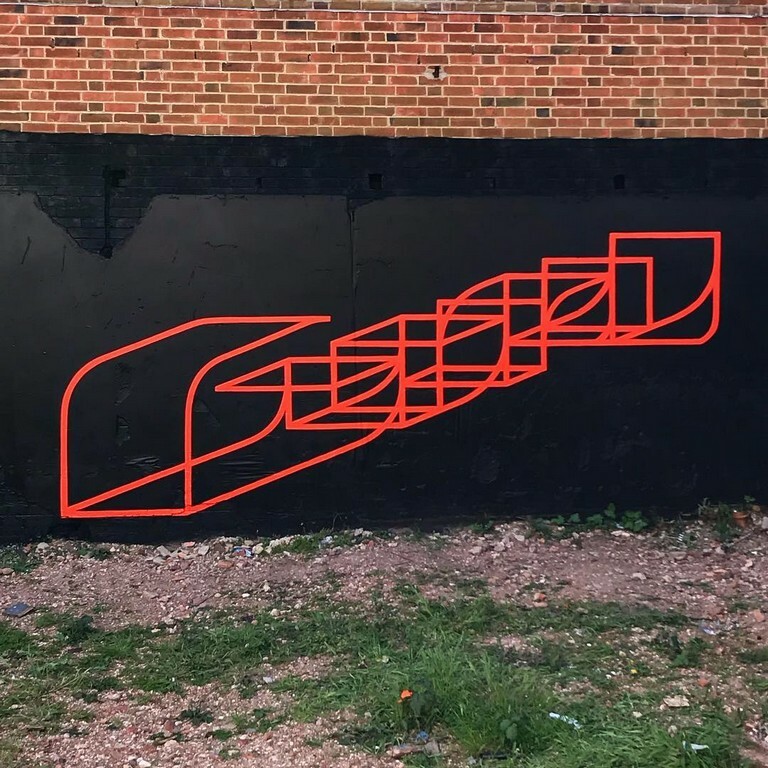 Gary x Pref – “AGAIN” – Crystal Palace, London, 2017. 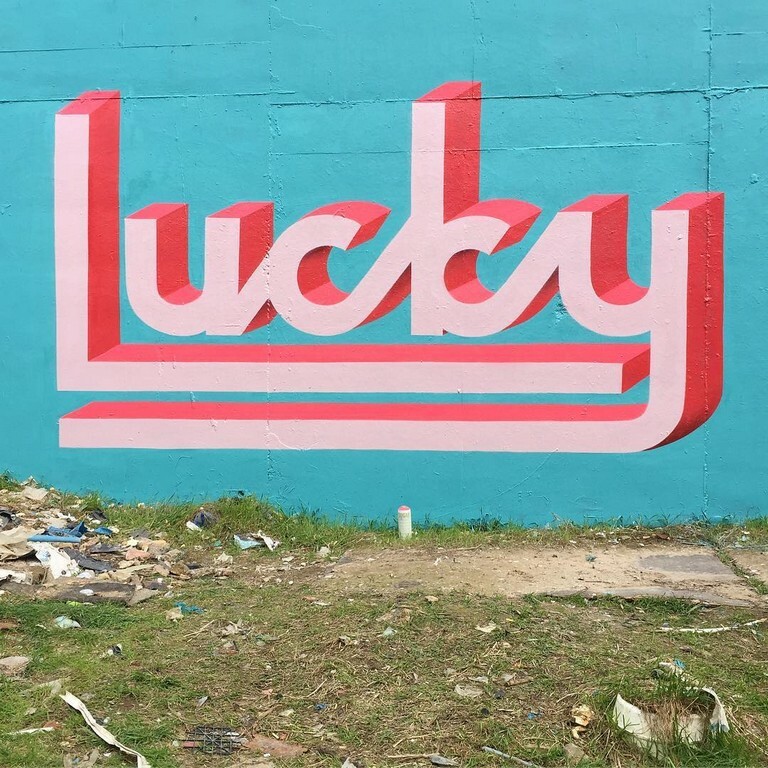 HC: Pref and yourself have also joined forces to found The Typograffic Circle, an artistic collective aiming at combining the practises of graffiti and typography, which resulted in a group show this year. Was this your first experience of curation? How did you find the process of curating that group exhibition? GS: The Typograffic Circle isn’t about trying to bridge a gap between graffiti and typography. It intends to be a collective that will naturally evolve, of artists that make interesting typographic work and also have a focus on placement, rather than just making studio work. The show at StolenSpace in May 2018 was the first time I had a hand in curation. I feel I/we may have got off lightly as we chose artists that we know and trust, which minimized risk. I think if you have a clear enough vision about the aesthetic or theme of an event, then curation is easier and more rewarding. I can imagine that as the events we have in the planning grow, then it will be a bit more like trying to herd cats. 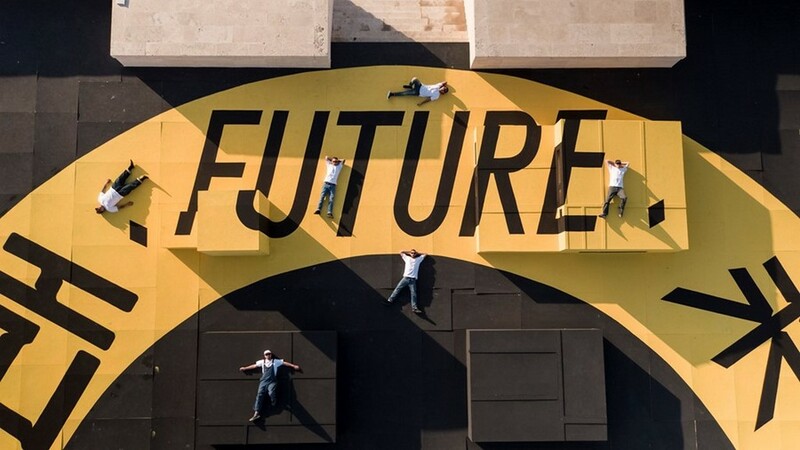 HC: Fendi recently invited you to take part in their F is For… installation ‘The Ring of The Future’, alongside international artists such as Roes (Hong Kong), Cave (Iran) and Casper (Japan). How do you approach a commercial project such as this? How do you decide which commercial projects to get involved in? GS: I don’t tend to take much commercial work. Fendi was a great client though and it’s such an interesting ongoing project they have there, so I couldn’t say no. There is some uncomfortable history to the building that they have taken over in Rome, the Pelazzo della Civilita Italiana. It’s great they’re having so many diverse events and installations in that building now. They’ve breathed a new life into what is an incredible structure that sat unused because of its past for so long. HC: Gallery work has clearly become a key fixture of your artistic output in the last few years with multiple solo, joint and group exhibitions under your belt, as well as seeing your work featured at international art fairs such as No Commission, Moniker and SCOPE Miami Beach. How does your public artwork inform your gallery/fine art? Do you hope to continue doing the two concurrently? GS: The wall paintings definitely do inform the studio work and vice versa. Having said that, I am becoming more comfortable with the idea that the two need not look the same. The medium I use on a wall is always going to dictate what I paint to an extent, whereas the studio work is completely unrestricted in that respect. I am enjoying experimenting with printmaking and exploring materials that have greater archival properties. Spray paint is very good nowadays, but it’s still not going to fair well over decades. I want to make work that will outlast me. 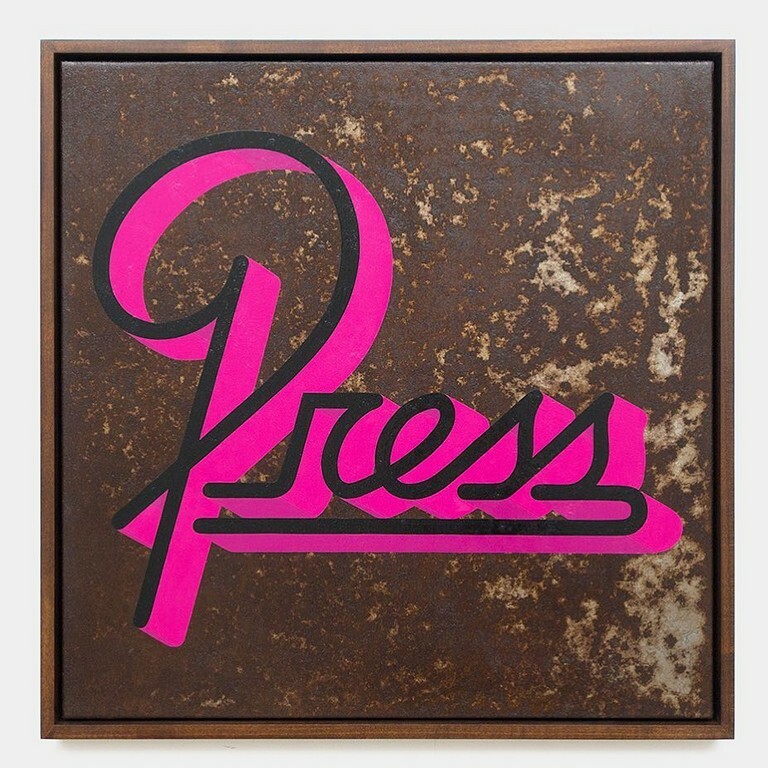 Gary Stranger, ‘Press On’, Enamel on Steel, 2016. HC: This new release with Fluorescent Smogg is your first foray into the world of sculpture. Why were you interested in translating your style into three dimensions and is sculpture a medium you hope to continue exploring? GS: It seemed like a natural progression to explore three-dimensional work. I spend a lot of time drawing or painting 2D lettering to appear 3D. It seems almost strange to not want to make the physical versions of those drawings. I have more sculptural work planned and in production, and I look forward to sharing that as it progresses. I plan to make some larger scale pieces and potentially find some permanent or semi-permanent homes for them in public spaces. 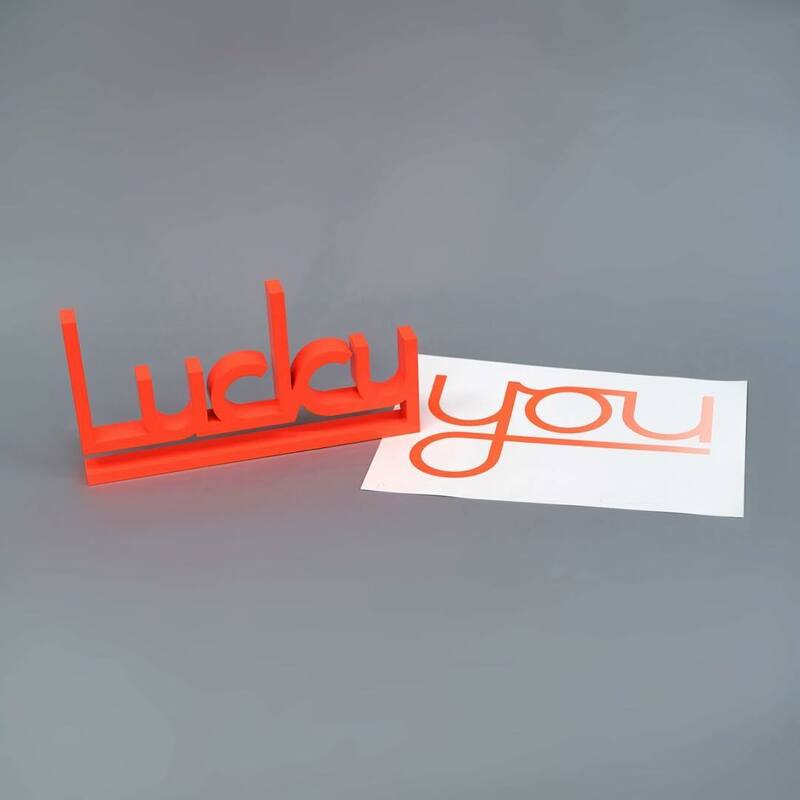 The new limited edition sculpture and print set, entitled Lucky (You) will be released in an edition of 20, featuring a powder coated, water cut aluminium sculpture, accompanied by a screen print using split fountain process on 300gsm Fabriano Smooth. Available here. Categories: Art products, Features, Interviews, Releases, Sculpture. Tags: Art products, featured, Features, Gary Stranger, Interviews, Releases, Sculpture, slider-featured.